The largest office development to appear in Kent for 20 years, Connect 38 in Ashford, has opened for business. 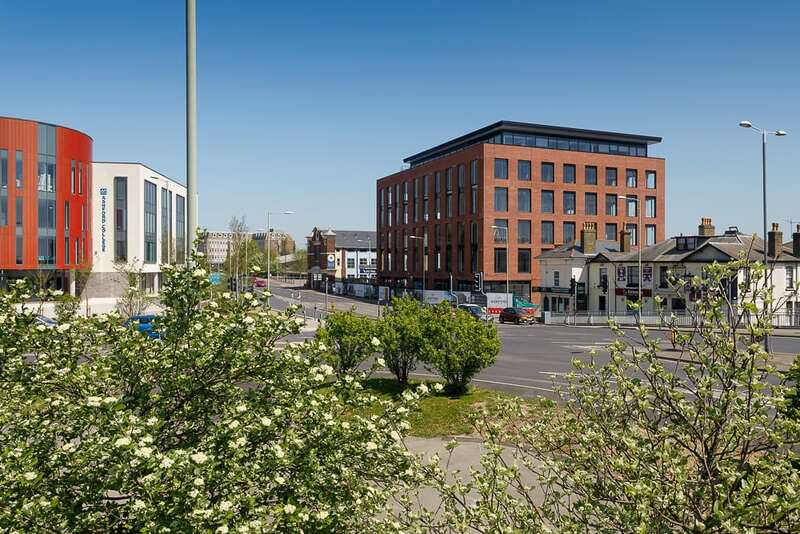 Heralding a new stage in the dramatic growth of this Southeast England town, Connect 38 is part of Ashford Commercial Quarter and delivers more than 80,000 sq ft of office, restaurant and retail space, providing around 480 full time jobs. Connect 38 is just a 7 minute walk from GRE Assets’ impressive Riverside Park Development. “Connect 38 and the Ashford Commercial Quarter is going to mark a new chapter for Ashford and sets the standard for office space in the Southeast,” said Mark Quinn of developer Quinn Estates. The building “represents an extraordinary opportunity for businesses looking to relocate locally, or from London and further afield. The international train station is almost adjacent to the development site, making this an ideal commuting location,” he added.